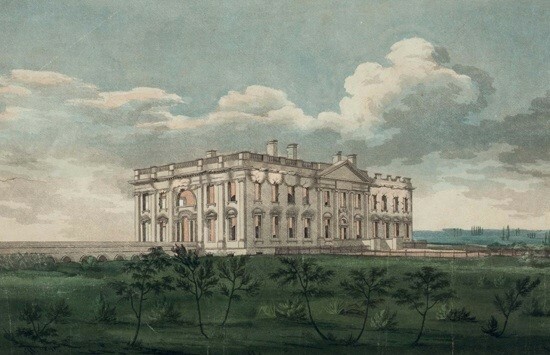 James Hoban designed the White House in 1792. The house though was finally ready by the year 1800. It took about six years to finish it! The walls are made of sandstone and also painted white. The White House has 164 rooms, including bathrooms, 147 windows, and 28 fireplaces. John Adams was the 1st president to actually to live in the White House. 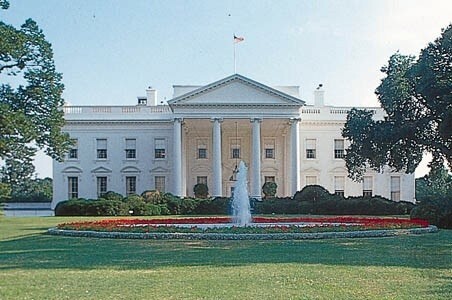 The White House is located in Washington D.C at 1600 Pennsylvania Avenue N.W. In the War of 1812, British soldiers got in the White House and set it on fire. After the fire they had to repair the house. The repairs were not finished until the year 1817. 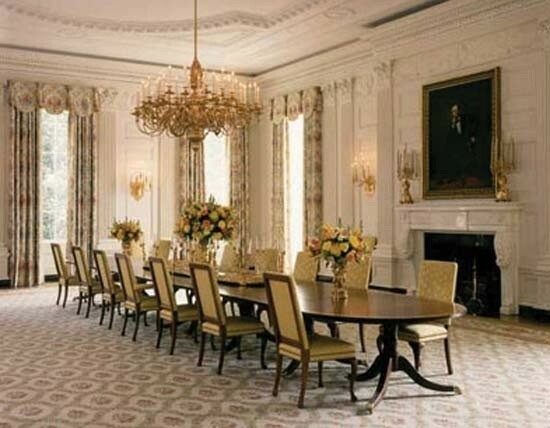 Did you know that the State Dining Room in the White House is smaller than the other rooms? Well guess how many people can eat in the State Dining Room? About 140 people! Imagine how many people can go in the other rooms! White House . Photograph. Encyclopædia Britannica. Web. 15 Apr. 2014. White House: Dining Room . Photograph. Encyclopædia Britannica. Web. 15 Apr. 2014. White House . IMAGE. Encyclopædia Britannica. Web. 15 Apr. 2014.